Self-love, courage and Surrender. 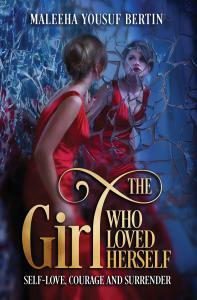 A modern story of a girl’s struggles to learn about herself through challenges in her life. — Real love is self love. 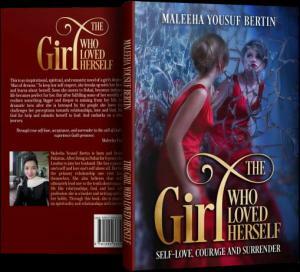 LONDON, LONDON, UNITED KINGDOM, February 7, 2019 /EINPresswire.com/ -- This novel revolves around a girl who is struggling and has a lot of challenges to overcome. She is fighting with disappointment and depression continuously struggling against parental abuse, acceptance of life, cultural pressures, harassment, and abuse. Her life is messed up. As an escape, she tries her luck with many men, but nothing changes in her life. But not only this, her loved ones betrayed and abandoned her. She is challenged to the core and courageously demands respect from them and experiences a spiritual awakening. Join Abeera in her journey of unconditional love, contentment, letting go and fulfillment. Challenge you to discover who you really are and what you can truly achieve by learning self-love. Not selfishness but compassion and non-judgment for one's self. Learn how to move past your self-doubt and propel yourself into living your dream. This book will help break those emotional barriers that hold you back. This book is full of practical wisdom and helpful suggestions of how to nurture spiritual growth in everyday life and offers guidance to help you find strength when you are down, safety in the face of uncertainty, and joy in all circumstances. How to practice gratitude, patience, and forgiveness? How to attract a life full of abundance3, fulfillment, peace, satisfaction and contentment? What is the purpose of relationships and life? And how to use them for their intended purpose. How does faith help you overcome obstacles of life? Meditate and do not be afraid to enjoy solitude over unhealthy habits and destructive relationships or relationships that do not serve you. Why is self-love very important? Why are spiritual goals as important as all other goals of life? Maleeha Yousuf Bertin is from Pakistan and now based in London with her husband. She provides advice on self-love and how to have healthy relationships around you by working on yourself first. Ten years ago she was struggling with many issues in life, cultural pressures, failure in love life, hatred for self, harassment of men, abuse, having financial crises and a lot more. Maleeha help women in understanding themselves, dating, identifying unhealthy relationships patterns, handling fears and grow spiritually that will nourish all relationships and aspects of their lives. Highly recommended! 5 Star Rating: A fascinating read, providing insights into the struggles and ultimate triumph of a young determined Asian woman named Abeera. 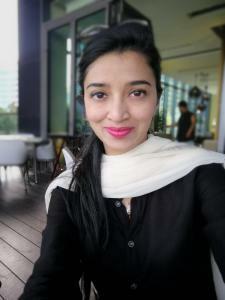 Abeera is not satisfied with the status quo and is looking to live life to the full, by struggling against customs, established norms and patriarchy. Whilst taking you through Abeera’s challenges of life, the author tackles deep and absorbing topics in a simple and relatable way. Topics include the reality of true love, cultural divides, achieving self-fulfillment and attaining consciousness of the divine presence. This forces one to take pause and consider such imperatives from different perspectives and indeed leads one to question one’s own deep-rooted viewpoints and biases. I especially liked the aphorisms at the end of each chapter highlighting the lessons one should take and apply from Abeera’s experiences. The heart-aching love poetry is also very touching and moving. Experience the trials, tribulations, pitfalls of love and realization through the eyes of Abeera. Book review By (David): Fascinating transformation through self-love: 5 Star Rating: This story is very practical, simple and yet very relatable. The author takes us through the journey of Abeera that can really help one to find that inner peace, contentment, and abundance that one lacks, simply by acknowledging and accepting the different opinions mentioned in the book. The way the main character is transformed from all the harassment and abuse causing depressions and disappointments is mesmerizing. At some point the book takes a more philosophical and mysterious turn and ventures into the realm of understanding what the spiritual quest every soul is longing for, whether you are conscious or not about it. The book is fascinating as one comes to understand that the character is actually blessed for every single misery. Her patience and gratitude give her the power to face all the obstacles and challenges. She is paid back enormously because of her honesty, courage and the measures she took simply by making sure that her respect comes first, before anything else as she loves herself. In the journey, the character not only makes a lot of sacrifices but also she is able to harness her inner courage to successfully become a new person and embrace all the new discoveries that she makes along the way. Finally, at the end of each chapter, the writer lists in a direct way all the lessons the girl has learned: these are very powerful and priceless lessons to find guidance and start to take ownership of one's life.